Corned Beef, straight from the packet with seasoning & the fat side UP! I placed the meat on the bottom, added beer, spices, mustard then veggies. Cooked on low forever! Like 12 hours. This entry was posted in Uncategorized and tagged corned beef, crock pot, crockpot, Irish, Mama Bird Nest, Mama Bird's Nest, St Patricks Day, St Pattys. Here is another pintrest inspired dinner, I, of course added lots of veggies and cut the fat from the original recipe. SCORE! place first 4 ingredients in the crock, set to low and go. When you get home stir in cream cheese, tomatoes & spinach. Serve over pasta or rice and ENJOY!! This entry was posted in Uncategorized and tagged Chicken, crock, crock pot, crockpot, Good Seasons Italian, Mama Bird Nest, Mama Bird's Nest. Yes, you read that correctly! Asian Chicken in the crock pot! Lettuce Wraps are one of my favorite things and Cheesecake Factory serves them with these yummy fresh veggies and trio of sauces so today I am giving you the weeknight version! Still the fresh yummy veggies, just a really quick, no mess, no fuss chicken. You could always grill this chicken and really boost the flavor, but when short on prep time this worked great! If you blink you may miss the directions!! I am obsessed with Peanut Sauce and this random combo I came up with yesterday was AWESOME! Not too much peanut butter, a little kick and some acidity for a little tang! I made this after I got the chicken going and put in fridge so all the flavors could come together. Wisk all ingredients together. ENJOY! Lettuce for wrapping all the goodies in! This entry was posted in Uncategorized and tagged asian, carb free, Chicken, crock pot, crockpot, cucumber salad, cucumbers, lettuce wraps, Mama Bird Nest, Mama Bird's Nest, paleo. This months Cooking with Ms. Kat is an APPLE theme! It goes along great with last weeks fieldtrip to Apple Hill Orchard. And I thought it would be something fun! I tinkered with this recipe for several days and after several batches I found what I think is YUMMY! this easily doubles, triples, etc…. Peel. Core. Blitz Apples in food processor. Put in crockpot. Add brown sugar, cinnamon, cloves, juices and zest. Stir well. Set crockpot on low for 10 hrs. Next, prop open lid to crock and set on low for additional 4 to 8 hrs depending on texture and type of apples. *I used a mix of apples. I used Gala, Fuji, Granny Smith, Golden Delicious, play around and find what you like best! This entry was posted in Uncategorized and tagged apple, Apple Butter, Apple Hill Orchard, apples, crock, crock pot, crock pot wednesday, crockpot, mama, Mama Bird Nest, Mama Bird's Nest. so, it is finally feeling like winter and has been raining all weekend, ugh! Hubs was craving bbq and I didn’t want him to catch pneumonia by going out to his smoker every 20mins! Pork Loin was on sale so I tossed it in the crockpot with salt, pepper, garlic, crushed red pepper, and poured apple cider vinegar about half way up the side of the pot. Set to low and let it go all day!! Drain the majority of cooking liquid out of crock and either make a yummy bbq sauce with the liquid or pour your fav bottled sauce in crock, pull apart with fork and ENJOY!! This entry was posted in Uncategorized and tagged bbq, crock pot, crockpot, Mama Bird's Nest, pork, pork tenderloin. Yummy! There is nothing better than walking in the door to a house with a warm, ready to eat dinner sitting on the counter! Hence. my love of the crockpot!! 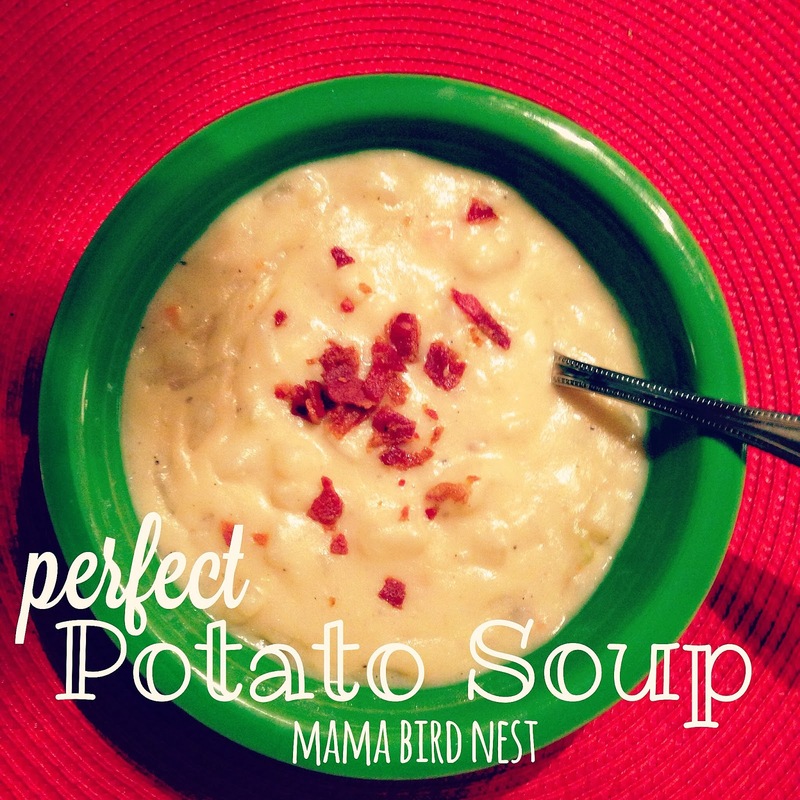 Today I made one of the easiest potato soups ever! Just dump, shake, stir, dump again, stir again, set on low and voila a few hours later a meal! What is your favorite DUMP and forget about it recipes? 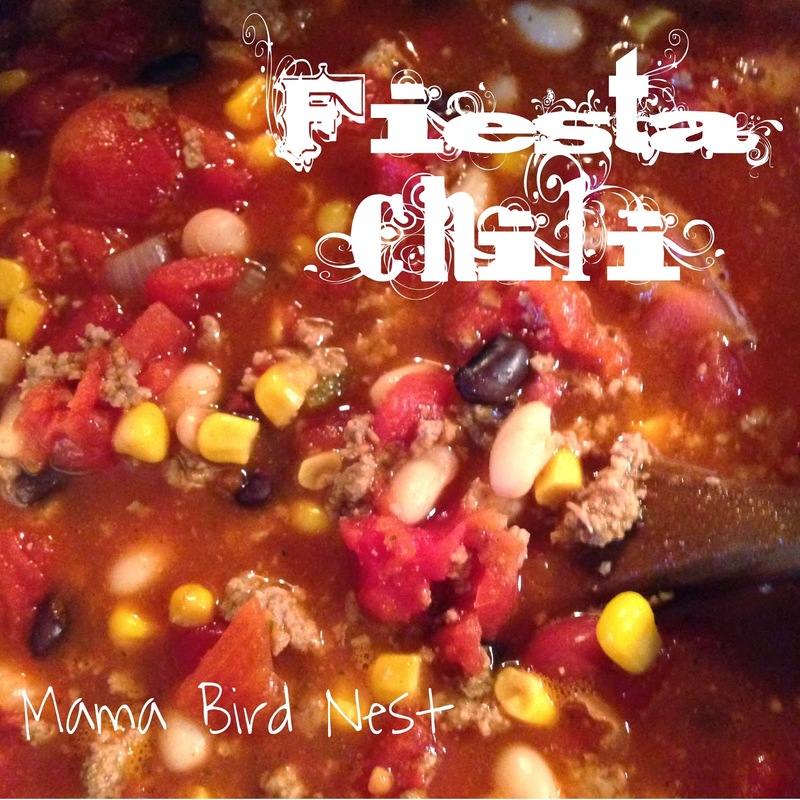 This entry was posted in Uncategorized and tagged crock pot, crock pot wednesday, crockpot, Mama Bird's Nest, potato soup, soup, Souper Sunday.